Whisk dry ingredients in a medium bowl. In a blender combine remaining ingredients together until smooth. Add wet mixture to dry and mix until just blended. Make your pancakes! Mix soy milk and vinegar well and set aside. Combine dry ingredients in a medium bowl. Mix oatmeal and soy milk mixture (I used the blender because my oatmeal was very cold, old and lumpy!) and add to the dry, mixing until just combined. This will be a very thick batter. 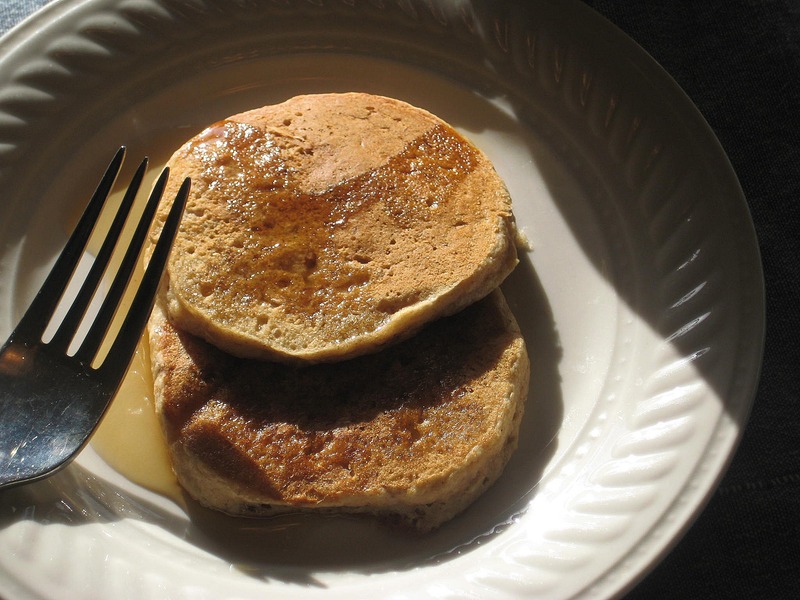 Put batter into a lightly greased 8×8 pan, sprinkle with cinnamon-sugar and bake for 25 minutes in a 375 degree oven. This recipe was adapted from here. 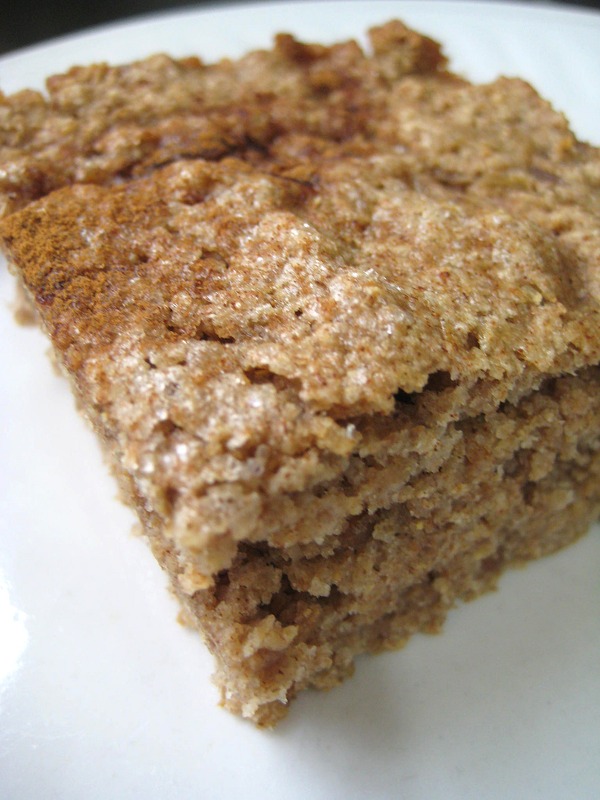 This is really somewhere between a coffee cake and quick bread but is not overly sweet. In fact it is perfect for breakfast. I will greatly enjoy watching my kids gobble this down without them having a clue they are eating their once rejected oatmeal, I win! Your oatmeal bread looks like a perfect snack.